The medical aestheticians in our Chevy Chase and Greenbelt offices work closely with the board-certified dermatologists and physician assistants to analyze and assess your unique skin needs. Whether it’s teen or adult acne, aging skin, rosacea or melasma that is bothering you, our dermatology team will listen to your concerns and customize a treatment plan including medical facials and skincare products to properly treat your skin type, tone, and texture. Your skin takes 3-4 weeks to complete a full “life-cycle” of shedding and regenerating skin cells. We recommend scheduling a medical facial, microdermabrasion, or chemical peel treatment every 4-6 weeks for maximum benefits. You’ll notice improvements to your skin tone, texture, and appearance instantly, and over time, you'll have glowing, healthy skin! See below for What to Expect and the Types of Treatments we offer, customized for your skin type and conditions. Facials take 60 minutes. New patients, add 15 minutes for a skin analysis. We now offer teen facials! Almost all teens get acne. It happens when an oily substance called sebum clogs pores. Pimples usually pop up on the face, neck, back, chest, and shoulders. Acne isn't a serious health risk, though severe acne can cause permanent scars, and can also damage a young person's self-esteem. Our medical aestheticians offer teen facials for acne treatment which includes deep cleansing, extractions of white heads, blackheads and pustules and application of acetic acid or salicylic acid. 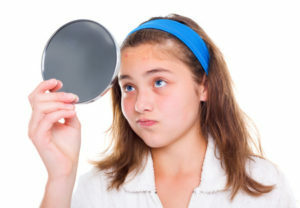 The aestheticians will also educate your teen about the proper products to use for an effective daily skin care regimen. We recommend a monthly teen facial to treat acne for optimal results. It may take 4-8 weeks for skin to improve. *For teenagers only, i.e. people under 20 years of age. The first step of a medical facial is a deep pore cleansing. Ninka uses medical grade SkinCeuticals products and equipment which assist in a deeper cleansing of the skin without disrupting its natural barrier function, which has a balanced pH, oils and lipids that are essential to skin’s health. The second step of a medical facial is a thorough skin analysis and discussion of your concerns. Ninka is trained to “see” the skin with her fingers, so she will touch the skin as she looks at it under a magnifying lamp to assess your skin needs. She will then determine your skin type and the products and treatments she will use for your customized medical facial. Exfoliation, either physical (microdermabrasion crystals) and/or chemical peels (acids and enzymes) stimulate cell renewal, removes dry skin, breaks down stubborn discoloration (brown spots) and fades post-breakout (red/dark) marks. Exfoliation also allows active ingredients to absorb deeper within the skin for maximum skin renewal and optimal results. Steam warms the surface of the skin, making it more receptive to treatment (masks, serums, etc.). It also enhances circulation and softens debris inside the pores for easier removal of blackheads and whiteheads. Helps to promote lymphatic drainage–in other words, it removes toxins and reduces fluid retention. By flushing out these toxins we also promote circulation, which leaves skin glowing and more youthful looking. Any congestion of the pores such as blackheads or whiteheads will be removed. Having extractions performed regularly helps keep skin looking smooth and your complexion clear. Ninka is trained on how to properly remove these impurities and how to treat the skin afterward. Used at the end of the medical facial, masks help lower the temperature of the skin to reduce redness and to deeply hydrate. Masks are also important because they target specific skin conditions. They can be soothing, calming, moisturizing, purifying, or stimulating and work in different ways depending on your skin type and condition. These last few steps are the most important part of the facial. Ninka will use a toner to restore the skin’s natural pH, and to help prepare the skin for proper absorption of moisturizer. After the toner, she will hydrate the skin by applying a moisturizer suited to your skin type. Moisturizer is imperative to any skincare routine, regardless of skin type, as it replenishes much-needed water back into your skin. Lastly, Ninka will apply a Broad Spectrum SPF product that will protect your skin from damaging UVB (sunburn) and UVA (aging) rays. This treatment is for dehydrated, aging, and environmentally damaged skin due to sun overexposure and dry air conditioning. This treatment is for congested pores and is designed to reduce oil while hydrating the skin. This adult-acne protocol is designed to promote blemish-free and youthful-looking skin. 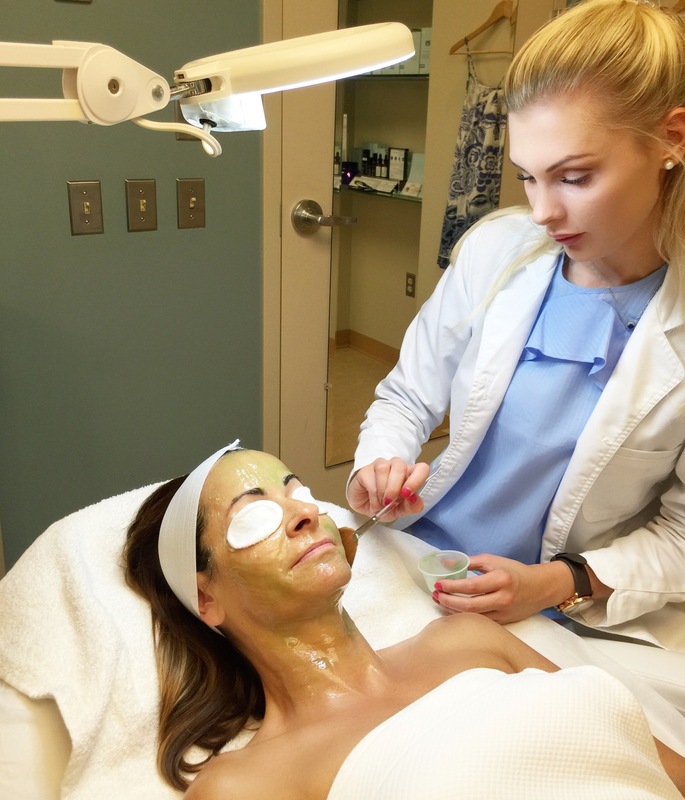 This treatment is designed to help calm and soothe compromised skin including reducing erythema, irritation, and inflammation associated with problematic or rosacea skin types. This treatment provides cooling, soothing relief for redness and flushing that often accompany rosacea, while improving the appearance of rosacea. This treatment is designed specifically for men who suffer from ingrown hairs due to shaving. The treatment can also be used on the neck, chest, arms, or legs. This treatment is good for all skin types. 48-72 Hours Skin is Hydrated and looking healthy as circulation has been improved. 28-48 Days Cells Regenerate and the long-term benefits of a medical facial and proper cosmeceutical care is achieved. So what's the first step to healthy, more youthful-looking skin? Optimal results occur with consistent medical facials every 4-6 weeks and using the proper SkinCeuticals skincare products daily. Come in for a consultation and skin analysis with Ninka to assess your personal skin needs and start a treatment plan right away. We guarantee your skin will look and feel better immediately with the proper consistent care and treatments. Call 240-482-2555 to schedule an appointment in our Chevy Chase office with Irina Varzani on Wednesdays from 10am to 4pm. Call 301-345-7375 to schedule an appointment in our Greenbelt, Maryland office with Gwen Burns on Thursdays from 10am to 4pm.